Chillupar is constituency No. 328 of Uttar Pradesh legislative assembly. It is situated in Gorakhpur district in Purvanchal region of the state. It comes under Bansgaon Lok Sabha constituency. It is an open constituency. The corresponding Lok Sabha constituency Bansgaon is reserved for scheduled castes. According to data with the Election Commission of India, Chillupar has 4,00,304 registered voters. It comprises 2,24,625 male and 1,75,668 female registered voters and 11 in the Others category. The Bahujan Samaj Party (BSP) defeated its nearest rival, the Samajwadi Party (SP), by 1,11,53 votes to win this constituency in the 2012 Assembly elections. 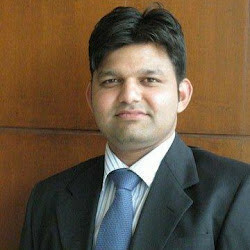 Rajesh Tripathi, the winning BSP candidate, got 61,639 votes. The nearest contender was C.P Chand of the Samajwadi Party who got 50,486 votes. The voter turnout was 49.99 %. Below is the list of winners and runners-up in the Chillupar assembly elections conducted so far.